The usual low mix of races for a Monday and a few good bets, but most easily found and not much value around. Australian Racing Greyhound has found two of the highest raters for the day’s dog racing. The Bruce and Heather Baxter-trained Isla Maye has only won one of eight starts but looks placed to advantage here in the ninth from Ballarat with a class edge over the others dogs. Importantly for a 390m race, she looks the clear leader and has the pace to keep it going. 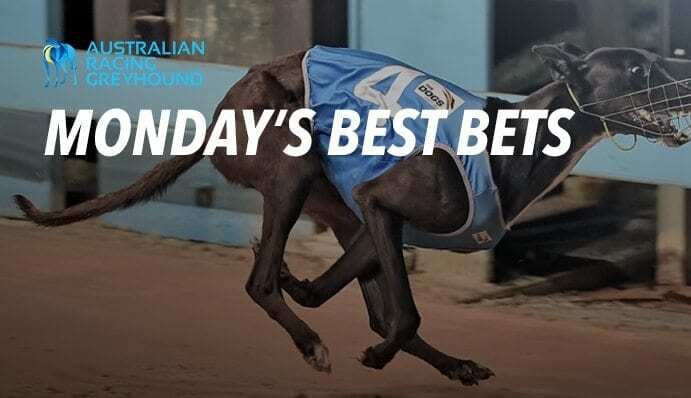 Crownbet have Isla Maye $3.60 and we’ll bet backing her all the win in to $2.55. Bet early here, we don’t see the price lasting. Ultra consistent Lektra Viki looks the clear standout winner of the sixth race from Angle Park greyhounds tonight and bookies are betting us a price about a dog that looks a moral from the ratings data. Led them up last start here and got swamped against better dogs, but looks a class above her competitors tonight so should find the line at her second look at the track. Bet365 are betting us $3.85 about Lektra Viki and that’s a great price knowing we are on the clear leader.